GET FREE GOOGLE MAPS/GOOGLE MY BUSINESS PAGE OPTIMIZATION WITH SUBSCRIPTION TO MONTHLY MONITORING! Monitor activity - Respond to positive and negative reviews to show customers you care. Edit business hours of operation, Business contact information, Post Special Events, Pictures, etc. Get started at the PayPal Button Below! We originally hired Building Futures to set up our website and Social Media. After seeing his work we decided to use his SEO services as well. 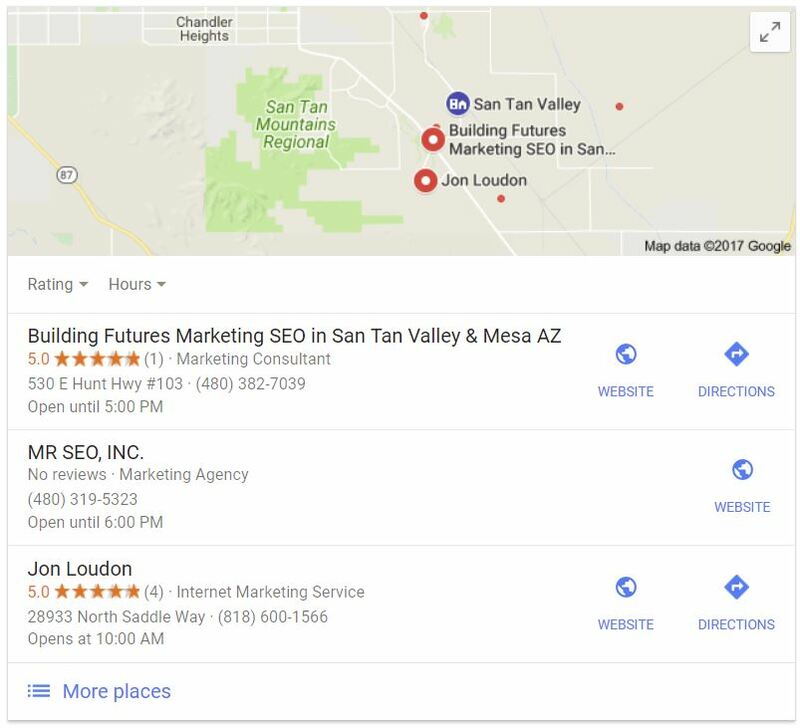 We are ranking #1 in Google Maps in several cities and had several properties on the first page of Google in several cities within weeks. Their work is amazing! I am using them for another side project and have recommended him to several other business owners!